Satya Nadella isn't stopping the job cuts train at Microsoft any time soon. The company revealed Thursday that 2,850 people will lose their jobs by the middle of 2017, on top of the 1,850 cuts announced earlier this year. According to a regulatory filing, those impacted will primarily be in its phone hardware business, which has already been hit hard by layoffs, and in global sales. The cuts are more fallout from Microsoft's decision to downsize its smartphone business, which it acquired from Nokia in 2015. Putting that acquisition in motion was one of the last things that former Microsoft CEO Steve Ballmer did before announcing that he would be leaving the company's top job. His successor hasn't taken the same shine to the phone hardware business that Microsoft bought. 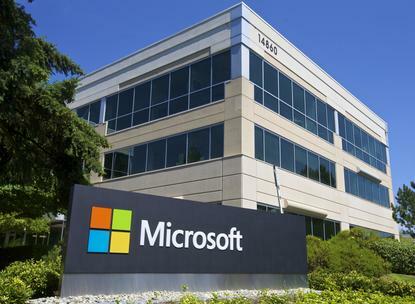 Microsoft declined to comment about the job cuts beyond what was disclosed in the 10-K filing. Nadella has cut thousands of jobs since taking the top spot, many of them in the phone business. It remains to be seen what this will mean for the company's business overall. While Microsoft's most recent quarterly financial report showed a year-over-year revenue decline, the company's cloud businesses continued to grow. The phone hardware business has been a sore spot on Microsoft's financials, seeing massive revenue declines for the past several quarters.